One can experience the artist audio walking tour by starting at River St. in Troy, NY near Psychedelicatessen. The above map and the numbered prompts below help guide you through the soundwalk. I also sometimes launch group tours together! Please check my home page for launches. 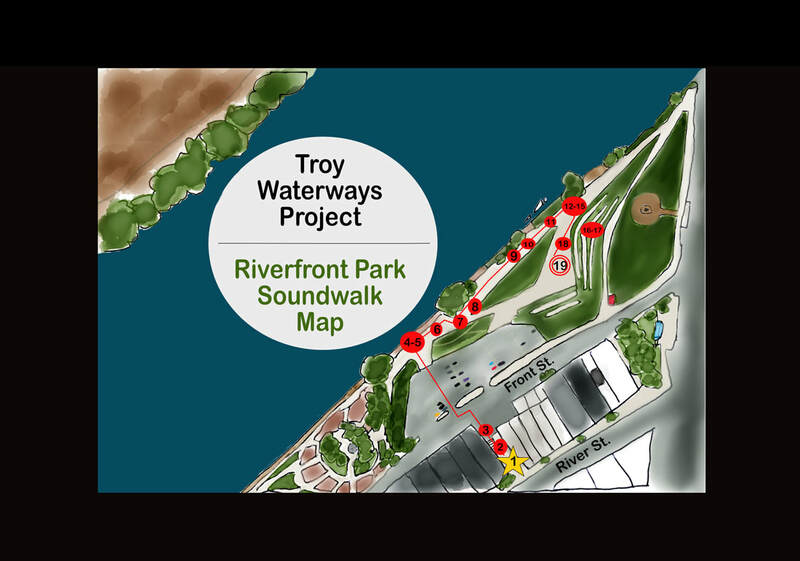 Riverfront Park Soundwalk is a site-specific, 20-minute artist audio walking tour of Troy, NY's waterways. It is a past, present, and future overview based on sound artist Andrea Williams’ historical and environmental research and interviews with Troy residents and water experts. Musical elements, soundscapes and the actual environment intermingle in this soundwalk that is one of seven destinations that are part of the overall Troy Waterways Project. 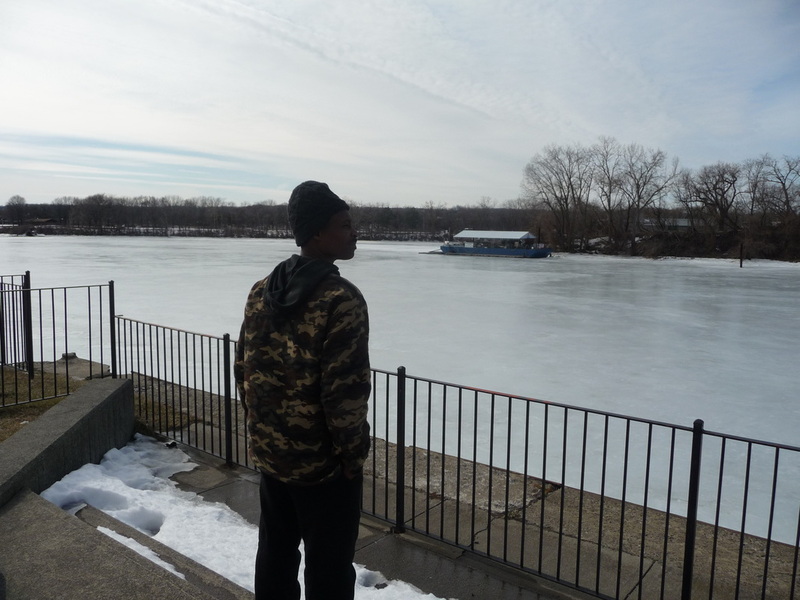 At the end of the Riverfront Park Soundwalk, participants can share a dialogue together on their personal connection with the river or other local waterways and visions of the future of the Hudson River in Troy that will be posted on the project website. Your feedback on the soundwalk is welcomed here.